Joshi (85) joins the list of veterans, including L K Advani, Shanta Kumar, B C Khanduri and Kalraj Mishra, who have been denied the ticket by the BJP. File photo of BJP leader Murli Manohar Joshi. 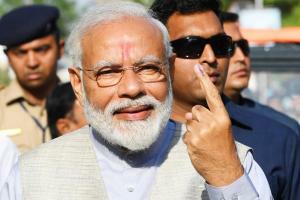 New Delhi: The BJP dropped its former president Murli Manohar Joshi as its candidate from Kanpur for the Lok Sabha polls and swapped constituencies of Maneka Gandhi and her son Varun Gandhi as the party announced candidates for 39 more seats on Tuesday. The BJP repeated Union minister Manoj Sinha from Ghazipur, his ministerial colleague Sadhvi Niranjan Jyoti from Fatehpur and its Uttar Pradesh president Mahendra Nath Pandey from Chandauli. UP government ministers Rita Bahuguna Joshi and Satyadev Pachauri have been fielded from prestigious Allahabad and Kanpur seats respectively. Joshi (85) joins the list of veterans, including L K Advani, Shanta Kumar, B C Khanduri and Kalraj Mishra, who have been denied the ticket by the BJP, apparently on the ground of their age and grooming younger leaders in their place. The BJP had conveyed to Joshi that it will not field him in the polls. In a statement to CNN-News18, Joshi said he was asked by party general secretary Ramlal to not contest the elections. 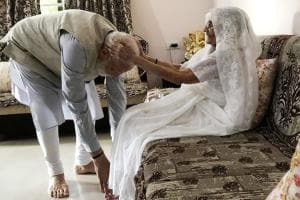 In the 2014 election, Joshi had vacated his Varanasi seat for Prime Minister Narendra Modi and then won Kanpur by a record margin, securing 57% of the votes. Joshi, a former union minister, has also not been included in the list of campaigners in Uttar Pradesh. The BJP had won 28 of the 29 seats for which it announced its candidates on Tuesday. Names of seven incumbents did not figure on the list. However, two of them, Allahabad MP Shyama Charan Gupta and Bahraich MP Savitri Bai Phule, had quit the party.